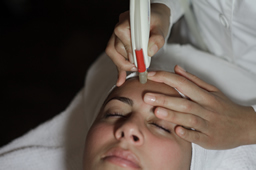 Microdermabrasion is an extremely popular procedure used to treat a variety of skin problems and for the maintenance of healthy skin. The procedure involves passing V-shaped hand piece in a uniform manner gently abrading the skin with light suction which in return removes the top layer of skin called the Stratum Corneum. And this therefore promotes vibrant, smoother skin, and eliminates blackheads instantly whilst encouraging the production of new skin cells in the deep layers of the skin. It is a procedure and usually takes 20-30 minutes to perform. It is commonly said to resemble a little vacuum, tickling or slight pinching sensation. Here at Le Crisadore Beauty Clinic we use the Ultrapeel II microdermabrasion system which represents the most innovative and technologically advanced medical microdermabrasion systems suitable for Dermatologists, Plastic and Cosmetic Surgeons, Medical Doctors, Aestheticians, and Beauty Consultants. The Ultrapeel II allows the user to perform a large range of treatments in a completely safe, hygienic and sterile environment with corundum crystal saving, completely avoiding any risk of cross contamination. These corundum crystals exfoliate the skin through the patented 45 degree V-shaped hand piece in a uniform and effective way abrading the skin in a gentle but efficient way. 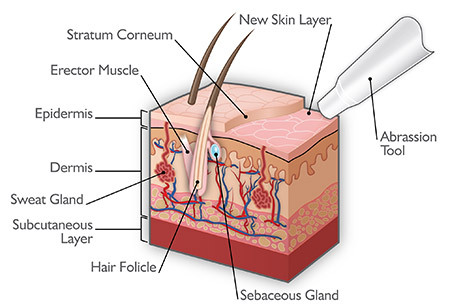 This system allows us to adjust the power and depth of the dermabrasion into the skin tissue, so that operator can safely treat the patients skin, without over treating or working too deep. The system is safe, comfortable, and has no adverse effects. Best of all there is no down time. You can resume to regular activities immediately. 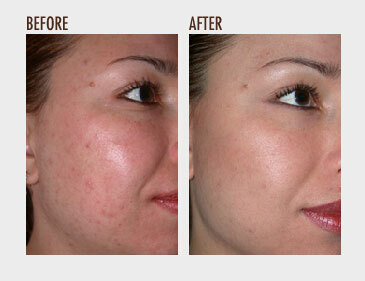 Book now for your free skin analysis and consultation & to discuss an individual treatment plan. Full Face - from £45 express treatment to Luxury Facial £60 includes mask and massage.